DJ Short soared in popularity as the cultivator of cannabis classic, Blueberry, and a range of other legendary strains. An excellent breeder, he also produced the sturdy Grape Crush which has an impressive growing profile. Its outstanding qualities do not limit itself to the growing aspect. It delivers a gentle head-to-toe euphoria that calms the mind and tranquilizes the body. In moderate levels, users avoid the heavy-hitting comedown that prevents one from using it during the day. At the same time, it also has therapeutic benefits. It manages symptoms from a myriad of afflictions. Grape Crush has a sweet fruity smell reminiscent of grapes and berries. Its scent is powerfully pungent like a potpourri. However, it is equally enticing especially when the buds are ground or broken. In the palate, its terpene profile translates into a robust mix of lemon tea sweetened by honey. On the exhale, it leaves an herbal aftertaste accentuated by spices. Grape Crush is not at all a potent strain. Its THC levels only range between 10% to 12%, which makes it a great beginner‘s strain. However, it is also a slow starter. Its effects slither and build up gradually. Usually, users notice its onset begin 15 minutes after the first two or three puffs. Its effects manifest as a tingling sensation around the eyes and the temples. It swarms the mind as a head high that uplifts the mood while its rush of euphoria inspires a deep sense of happiness. The behavioral change is immediately visible too. A broad smile etches itself on the face while users bask in pleasant memories. And, although subtle, it gently stimulates the stomach too. As such, users should prepare some snacks ahead of time. With that said, Grape Crush should be used in moderation. Although it is not heavy-hitting, high dosages can induce a couchlock with the potential to overwhelm the mind. Most of the time, however, it tapers to a soothing comedown that relaxes the muscles throughout the body in waves. Eyes turn red, and the mouth goes dry as cannabinoids begin to interfere with the body’s natural ability to produce moisture. Both side effects are mild but a little irritating as it can last for hours. A more concerning reaction to smoking Grape Crush is an overwhelming trip that can lead to light-headedness, headaches, and subtle paranoia. Hence, it is imperative that users smoke the bud in low dosages first before gradually building it up. 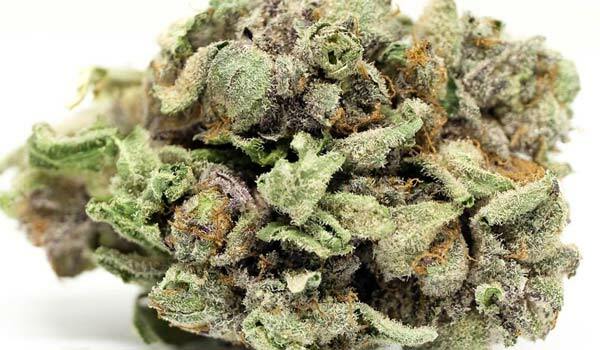 Grape Crush does more than make cannabis users happy. It helps manage symptoms of health issues as well. A smile on the face as the effects of its flowers hit appeases stress and uplifts the mood. Meanwhile, a joyful and at-peace mind calms the dread or anxiety triggered by overwhelming stressors. For this reason, too, it is a source of comfort for long-sufferers of depression and PTSD. A few clouds of smoke tranquilize not only the mind but the body as well. It numbs pains away with its analgesic properties while relaxing through its soothing physical buzz. Meanwhile, its antispasmodic capabilities prevent the muscles from contracting uncontrollably resulting in spasms. Thus, it is beneficial for chronic pains, and even headaches. Gradually, Grape Crush lulls the body to a drowsy state, which is sought after by people living with insomnia. After users to sleep, it ensures an enhanced quality of sleep with its ability to increase the quantity as well. Cultivating Grape Crush is not that hard. It is a sturdy strain that can grow in both in indoor and outdoor settings. Its natural propensity for a cool environment makes it a great candidate for cultivation in the northern hemisphere. Although it flowers quickly, preparing a temporary enclosing is still necessary. It will protect the plants from extreme weather like frost on an early winter, which can kill the strain overnight. Strategically placing a plant in an area where the wind blows lightly will also strengthen its branches and improve aeration. Harvest usually falls around the last week of September to the middle of November in the northern hemisphere. Each plant yields 500 grams of buds once fully mature. Cultivated indoors, growers should install a strong ventilation system. Its dense foliage can sometimes harbor moisture in between its crevices that develop into mold or mildew. Not only that, it leaves the soil heavily moist which can rot the roots. If left unattended, the humidity-related problems can stunt growth. Keeping temperatures between 21°C to 26°C is also necessary. To bring out the purplish hue, growers can lower it by a few degrees while maintaining low humidity. The Sea of Green method works best with Grape Crush. It is a short plant with a compact structure and very branchy. Growers can increase yields by placing more in a single square meter. Another way to improve turnout is by utilizing a hydroponics setup, which directs nutrients straight to the roots. However, it is soil that brings out its grape flavor. The looks of Grape Crush is by far one of the most enticing features of the strain. It has a compact structure with broad leaves lining its stalks and branches. Meanwhile, its buds are densely packed with a slightly stretched end that gives it a cylindrical, pinecone look. During the early stages of flowering, it might be difficult to spot these flowers as it is immersed in the thick leaves. However, with pruning, growers can carefully manicure the buds blanketed by a snow white trichomes. 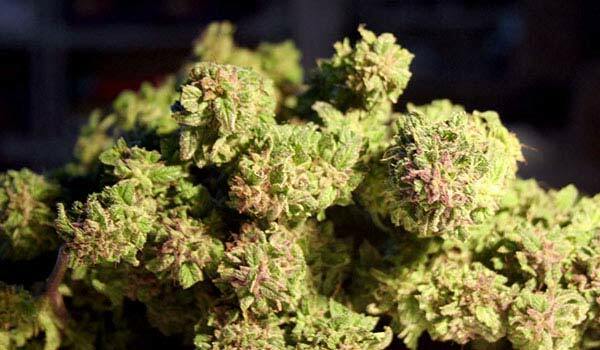 Have you grown or used the Grape Crush strain? If not, would you like to get your hands on this strain? Please leave a comment to let us know what you think. We want to hear from you.